I love my children, I really do. I love to be able to spend time with them all summer and do things we normally don't have time to do during the busy school year...but I will totally admit, that when it's time for school to start again...I'm doing the happy dance! And I'm definitely in the mood to party. But it has to be done in a fun upbeat way celebrating a new school year and possibilities, or my kids may come to suspect that it's something more.. (evil grin). 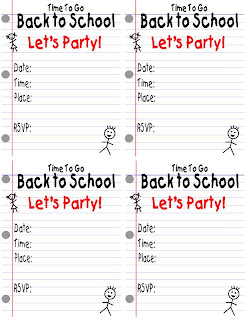 I created this fun Back to School party invitation printable. It's designed to look like a piece of notebook paper with some hasty scribbling for a 'last minute' party between friends. 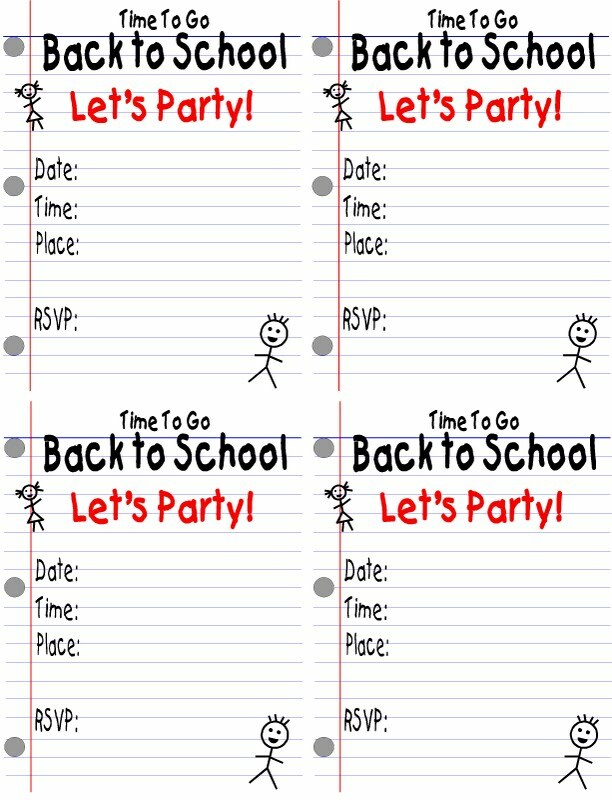 Enjoy your party and the quiet, productive, structured, busy, possibilities a new school year brings! Cute invitation! I found your blog through the tip junkie link party, you have a lot of fun ideas! Printing them out right now. These are perfect for our Back to School dinner. Thanks for sharing.